No Nicotine Stop Smoking Aid! Be Free™Coming SOON! No Nicotine Stop Smoking Aid! Be Free™ Coming SOON! Digest this!! To all those who want to stop smoking tobacco! Check this out, maybe a little all natural help, and no nicotine replacement therapies! 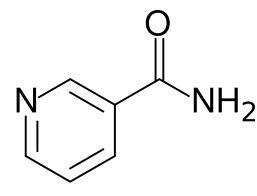 Nicotinamide is also known as B3 or Niacinamide. Tobacco, nicotine, could be trying to fit into a biological niche in humans. Think about the endocannabinoid system, and the Endocannabinoid Deficiency Syndrome. Cannabis, cannabinoids, has done the same to humans, why would Tobacco be any different. This entry was posted in Help to Quit Smoking, No Nicotine Stop Smoking Aid on February 7, 2013 by befree247.